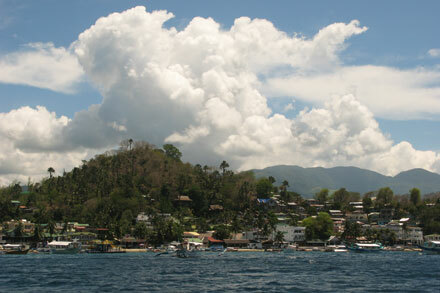 From a distance, Sabang looks innocuous enough, even attractive. Up close, one of the Philippines’ preeminent diving destinations, located on the island of Mindoro, proves to be somewhat seedier. Those who come to explore the underwater wonders discover an overdeveloped cluster of geriatric watering holes full of delusional men with decorative money-hungry twenty-somethings on their arms. 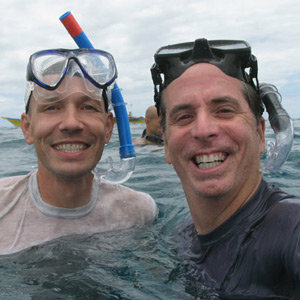 Do these guys really scuba dive? Anyway, underwater the scenery is worth the sleazy company. 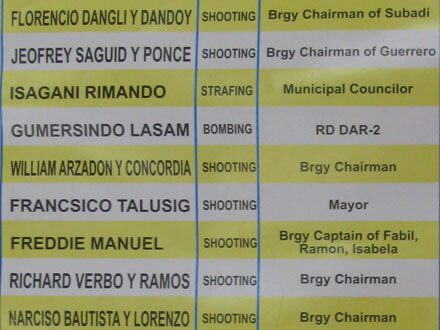 And, the crowds of retirees mean that there is a nice selection of air-conditioned mini-apartments to choose from. We even have a kitchenette, which comes in handy since the local restaurants are priced to meet the needs of the clueless. Do I sound somewhat judgmental? Good. Boy, taking a bus or jeepney in the Philippines can be quite an adventure. On more than one occasion, we have found ourselves stuffed onto the roofs along with grandmas, rice bags, chickens, firewood and iron rods holding on for dear life while maneuvering the scary roads of northern Luzon. Luckily, seat belt laws are only enforced for the drivers. While transiting through Bontoc, we had the extraordinary opportunity to meet some of the older members of the Bontoc tribe. Downtown Bontoc looks like any other small town in the Philippines, with jeepney stands, hotels, restaurants, donut shops, and hordes of teen fashionistas. It’s very easy to pass through and miss any signs of the region’s cultural heritage. 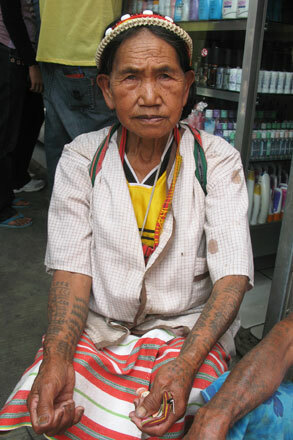 But a closer look reveals that Bontoc is actually one of the best places in the Cordillera to find the small number of older Bontoc tribes-people who cling to their traditional culture in their last years. These are the grandparents and great-grandparents of the fashionistas so desperate to escape from their tribal past. We just added a couple of useful websites to our Resources Page. Transitions Abroad is a great portal for people wanting to work, volunteer or study abroad. You’ll also find a lot of information on simply living and traveling abroad. Also check out 3 Sisters Adventure Trekking, a Nepalese organization formed by the sisters Lucky, Dicky and Nicky Chhetri who provide training for female trekking guides. The benefits of this organization are twofold: single women who want to trek in Nepal can feel safer with a female guide and porter, and the training program improves the lives of disadvantaged Nepali women. … for journalists, that is. And it’s no cakewalk for politicians either. 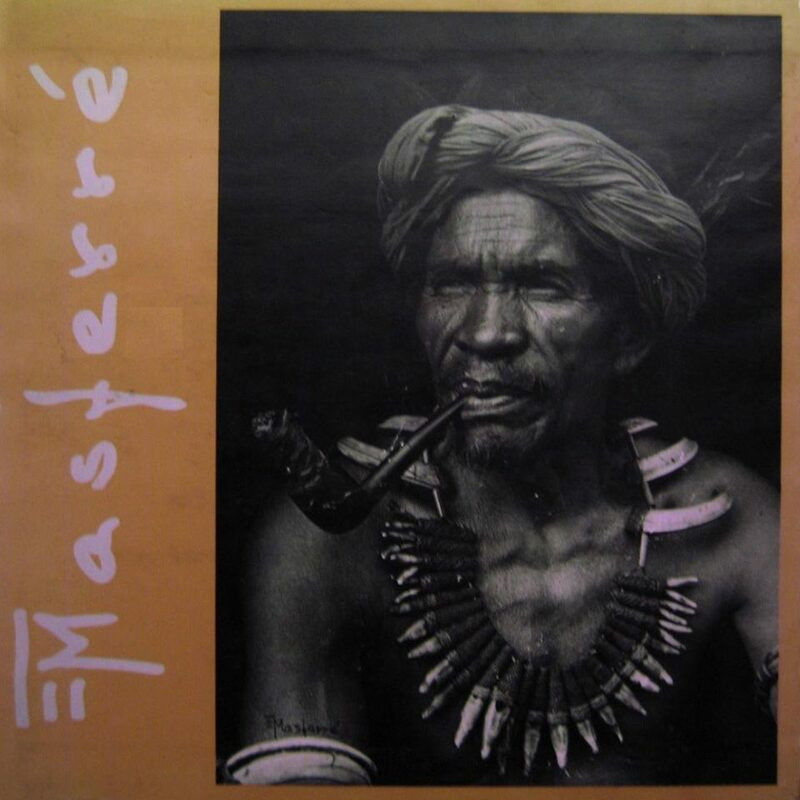 One last discovery we made in Sagada has nothing to do with hiking through mountains or crawling through caves but rather with amazing art: the black-and-white photography of Eduardo Masferre. 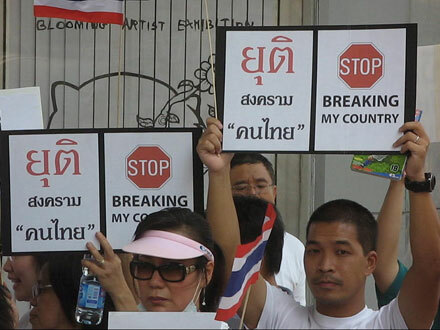 We’re sitting here in the Philippines watching the government crackdown in Bangkok on CNN. How surreal. Although only a small part of Bangkok is occupied by Red Shirt protesters, it is the very area we walked through every day while we were in the city. We see walls of tires with bamboo spears jutting out on corners we used to pass by, gun fights in Lumphini Park, armed vehicles advancing on the Rachaprasong intersection, an area we passed through multiple times a day. It feels like our second home is under siege. We hope all our friends in Thailand are safe: Poy, Ning, Mr. T, grandma, our friends at 7 Eleven, the little person who plays the Leprechaun at the Irish pub, the staff at the local restaurant near the tobacco factory, everyone who welcomed us and made our stay so memorable. We just wanted everyone to know we are thinking of you. 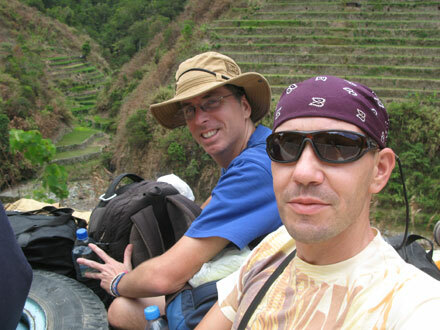 Sagada boasts more than a cool mountain climate, forests full of pines and tree ferns, and exotic burial rituals. Our principle reason for coming here was to bone up on our spelunking skills by doing the famous Cave Connection, a four-hour cave crawling tour linking the Lumiang and Sumaging cave systems. This tour requires its participants to repel down vertical shafts, crawl, squirm, dangle off of ledges, slip, slide, wade waist-deep through underground streams, and clamber over wedding cake cave formations – in other words, it’s serious food for your inner child. 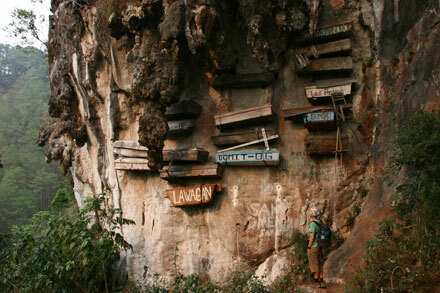 Exploring the countryside around the hill-town of Sagada, visitors will discover Sugong coffins hanging from cliffs, lodged into karst fissures, and piled into caves. The unique burial ritual is still practiced today although locals have to pay a high price for the honor. Older coffins are quite short because the original animists buried their dead in the fetal position. But later coffins, influenced by Christianity, place the body in a lying position and are therefore longer. It’s amazing how many of the ancient coffins we’ve discovered just hiking around town on our own – very cool! Tony and I met these three old Ifugao men while walking along the viewpoints outside Banaue. From left to right, Hemmiwat, Tundagyi and Thomas (no relation to me) drag their old bones up the hill every day to play music for tourists and pose for photographs in their headdresses and hand-woven loin cloths. They were so friendly and genuinely into their music, we couldn’t resist taking some photos and giving a donation to their “band.” And after we realized Thomas had walked all the way up to the look-out despite being blind, we thought more power to them. While others stalk visitors for a hand out, these three spend their days bringing visitors a little music.